A significant portion of business is conducted using email and includes sensitive data. 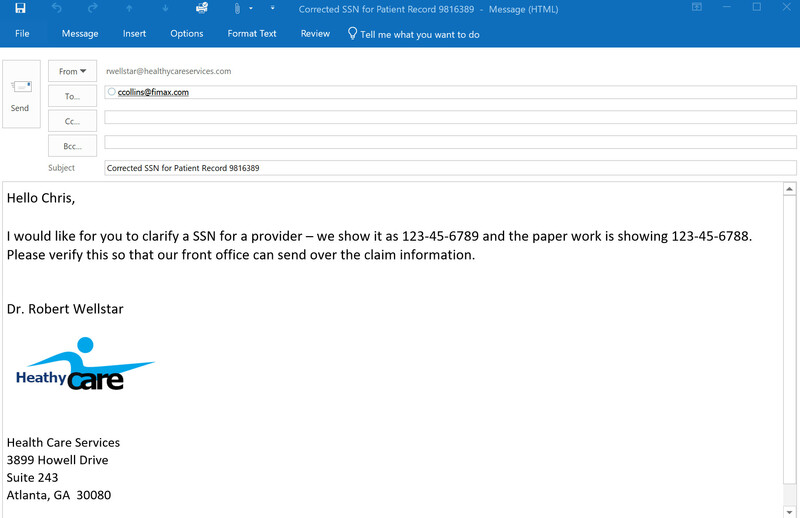 Protect e-mail from being read by entities other than the intended recipients. Just like a postcard, an email passes through a lot of processing stages where different people have easy access. However, where a postcard normally has a limited life span, an email can live and be searchable forever. Sending a normal email that includes personal or sensitive information without encryption is risky and considered to be illegal under privacy regulations such as HIPPA and GDRP. Enterprise encryption with no software to load. Our service requires no maintenance, no software or hardware. Read and Send from your e-mail Client. Different encryption triggers can be configured including a addin that provides for point and click encryption for Outlook. Data Leak Prevention (DLP) policies that look for certain content in your e-mail messages and attachments are available to automatically encrypt messages without requiring any intervention from the sender of the message. DLP polices are available that help facilitate regulatory compliance measures to comply with regulations such a Health Insurance Portability and Accountability Act (HIPAA), Gramm-Leach Bliley Act (GLBA), The Family Educational Rights and Privacy Act (FERPA), California's Security Breach Notification Act, the Massachusetts State Encryption Law, and many other regulations. 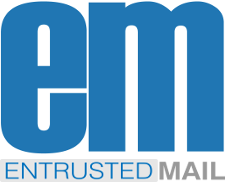 Encrypt e-mail from all your devices. Know who read your message and when. Schedule a demo with our sales team of sign up for a free trial. Is there a limit to the number of encrypted e-mail I can send? There is no limit to the number of encrypted messages that a human behind an e-mail account can send. 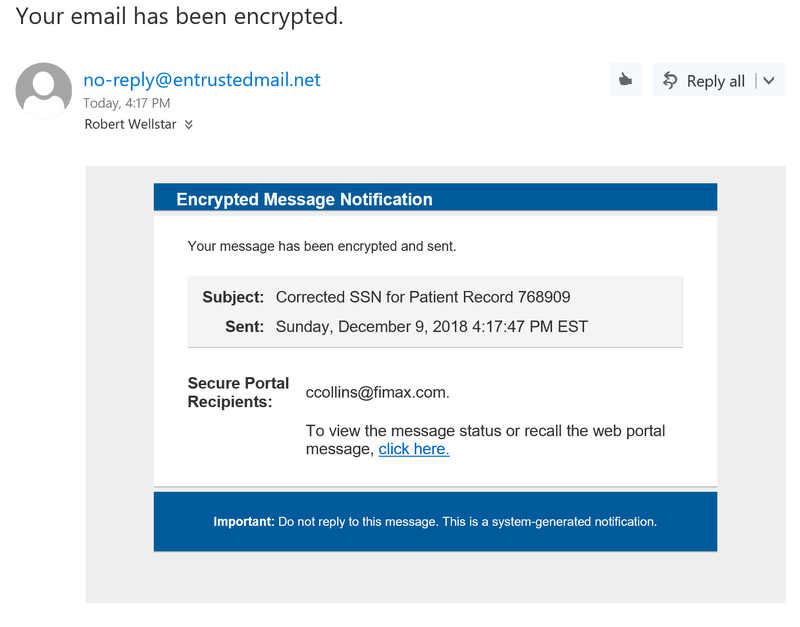 I you need to send a a large number of encrypted messages using an automated scripted process please contact us for pricing details for a high volume license. Can I deliver encrypted e-mail to a recipient without them having to log into a secure portal? How long are encrypted messages retained on the secure portal? Can I "recall" a message if needed? Is there an audit log for each encrypted message? Sending an encrypted message is seamless and simple, right from your email client. Policy based encryption is available so that when content defined in a policy, is detected in an e-mail or it's attachment, the message will be encrypted automatically. In the following example, the social security number policy is enabled. 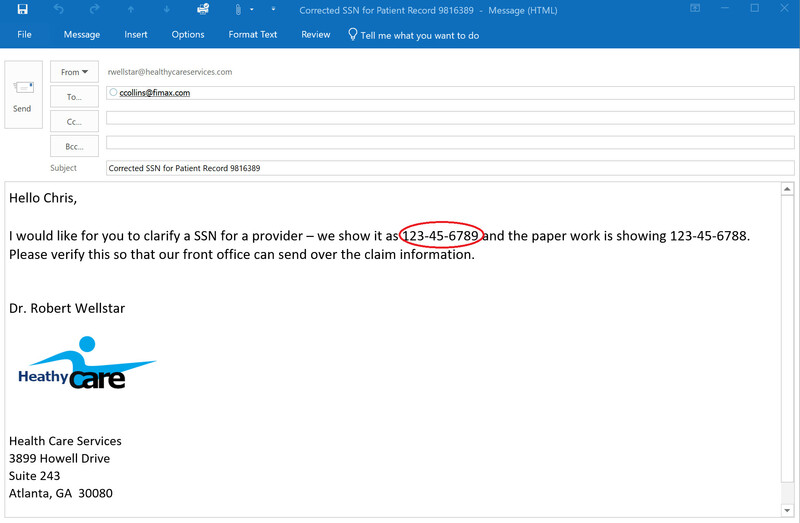 When an e-mail is sent that includes a valid social security number the e-mail is automatically encrypted. A number of policies can be enabled to automatic encrypt messages. 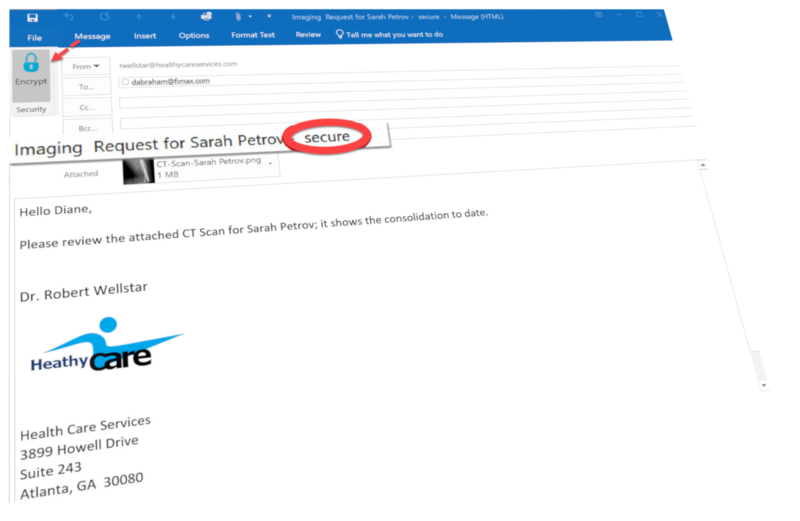 A subject line keyword (secure in this example) or by clicking of a padlock symbol when the Outlook addin is used, enables the sender to force encryption for any particular message that contains confidential information. 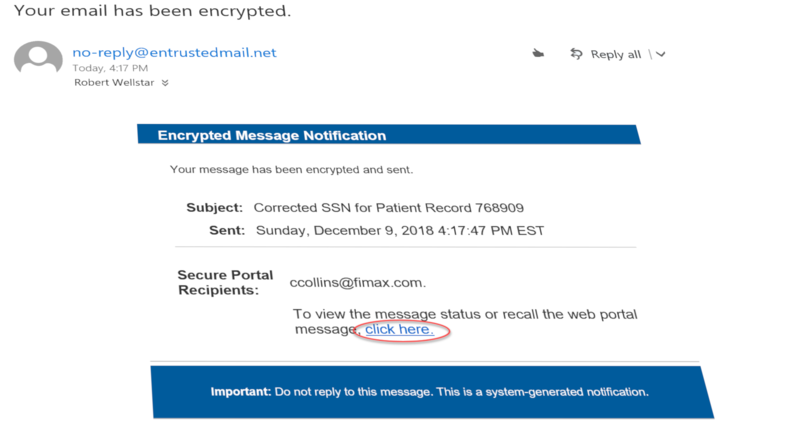 When a message is encrypted, the sender will receive a notification message that includes a link that allows the message to be recalled in case the message was sent in error or the sender decides to pull back that message at a later time. 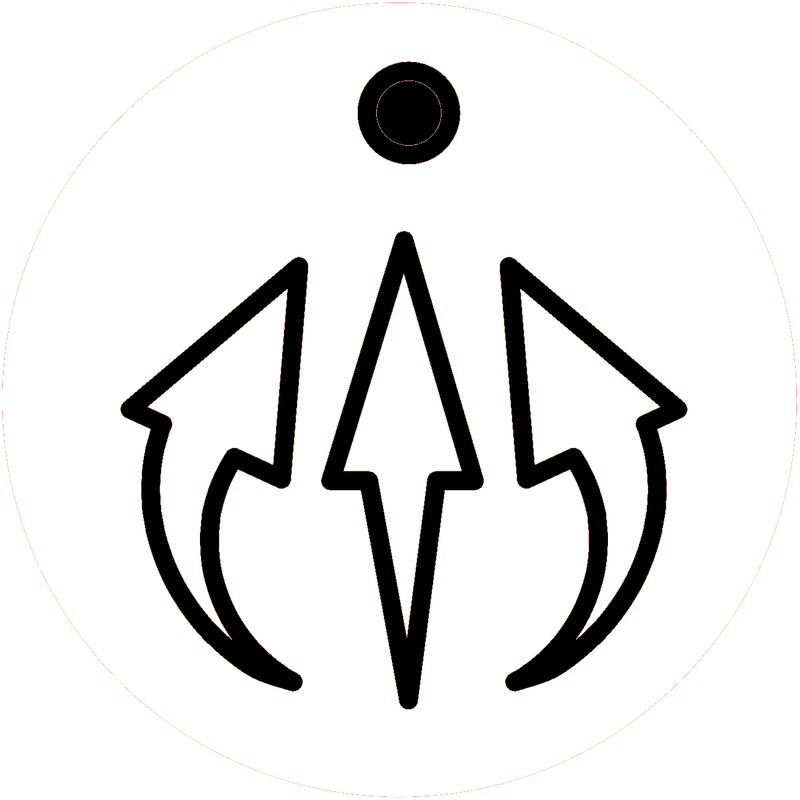 The sender has access to a complete audit trail for each encrypted message. Active is logged from the time the message is sent to the time the recipient displays the message on their screen. 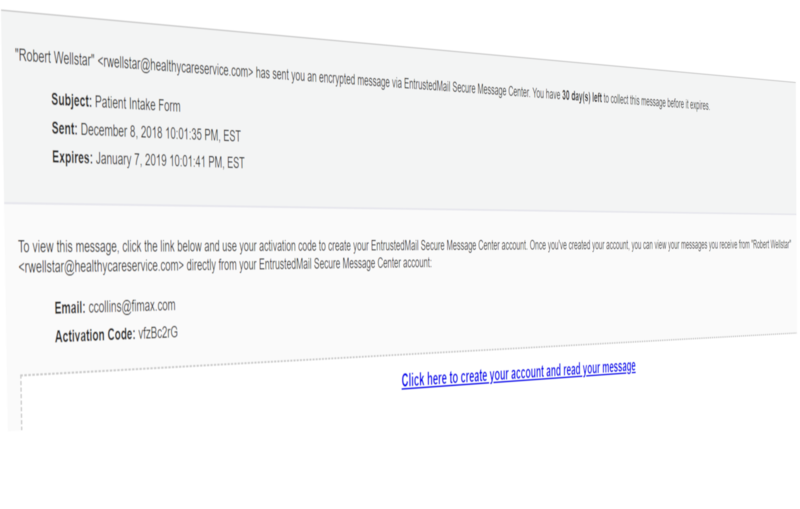 When sending a encrypted message to a recipient for the first time, the recipient of the encrypted message will received a notification message that providing a quick and easy one step registration process. E-mail and activation code fields are populated automatically. 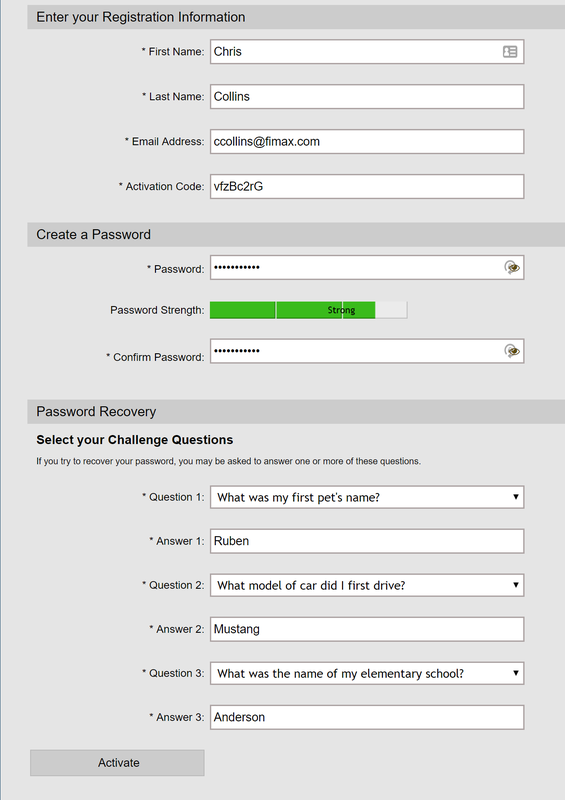 The recipient simply assigns themselves a password and challenge questions in the event that they forget their password in the future. The recipient mailbox provides a storage point for all encryption messages. If needed, the recipient can download the message in e-mail format, text format or as a PDF with the option of password protecting the PDF. The secure portal offers a secure method of replying back to an encrypted message. Encrypted messages are stored in a secure inbox allow for easy retrieval and allows for secure two way communications. By simply logging into the secure portal, a new secure message can be initiated at anytime.